When an individual becomes unable to make decisions regarding property or well-being due to age or health, a guardian may be needed. Nebraska has different options for assisting someone who needs help maintaining his life. The person may create a durable power of attorney, which grants you power to make decisions if he becomes physically or mentally incapacitated. 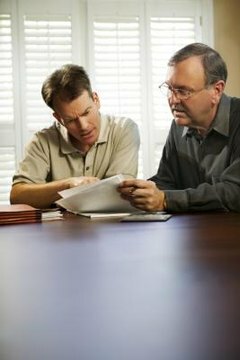 Power of attorney allows you to make decisions on someone's behalf. Seeking guardianship is another option in Nebraska. To obtain guardianship over an adult, you must go through a legal process. Discuss the different types of guardianship with your family. Guardianship consists of two types: estate and person. If you're a guardian of an estate, you have the power to make decisions about an individual's finances. Acting as a guardian of person allows you to make decisions about the person's health and well-being, such as medical care. Create the guardian petition. You have two options: pay a lawyer or do it yourself. If you write the document, you can use an online form or use a legal book with blank forms. File the petition with the local court. You must go to the probate court in Nebraska where the person lives to file the petition. Sewell, Demetrius. "How to Petition for Guardianship in Nebraska." , https://legalbeagle.com/8747959-petition-guardianship-nebraska.html. Accessed 24 April 2019.